The Model T museum is quite unexpected. My friend Rose, who owns a Model A and I, were heading out on a trip and spied a sign for a Model T museum. When we drove into town to check it out, they were closed but with a couple of phone calls we were able to check it out on the way back. We were thrilled that we did. The town of Richmond is filled with industrial history and is quite picturesque. The museum is on a bit of a rise and a little hard to find, but once inside you will see a variety of many rare and unusual Fords. “We just opened last September, “Jay Klehfoth, the Chief Executive Officer of the club and editor of the Vintage Ford magazine shared with us. With over 8,000 members in the Model T Ford Club of America, this museum that has been open since September of last year has several Model T vehicles that belong to club members. The museum had an airplane with a Model T engine inside it, several trucks and even a snow mobile, a Ford with skis created for rural mail carriers in New England. Tractor enthusiasts will be excited to see the Fordson tractor too. 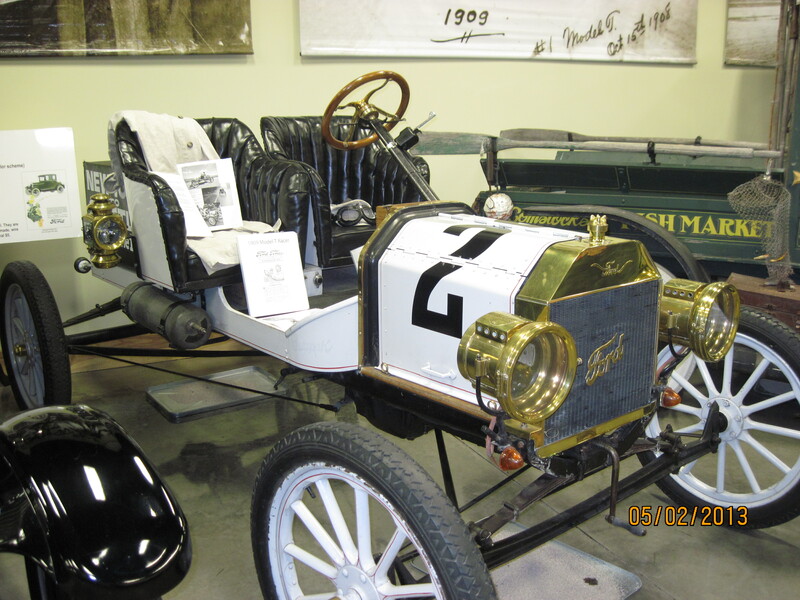 All in all this is a very cool museum that anyone that enjoys Fords or Model T’s will love.